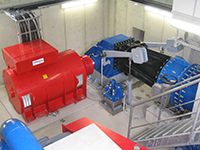 Original OSSBERGER® crossflow turbines are built from standardized individual components which can be configured to a tailor-made plant according to site requirements. This modular system facilitates low-cost manufacture whilst designing the functions to suit the specific project.Original OSSBERGER® crossflow turbines are ideal within a power range between some few kilowatts and a present maximum of 5 megawatts per machine. 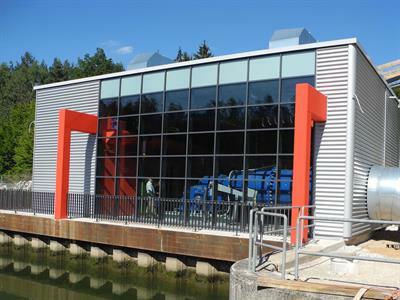 They are tolerant of debris in the water and adapt perfectly to varying flows; that is why they are extremely well suited for use in run-of-river locations. Smooth, quiet operation can be expected from almost zero up to full load. They have proven themselves to be reliable in the field thousands of times, even under the most severe conditions. With considerable foresight, he made contact with the Australian Genius, A.G.M. Michell, about whose work Ossberger had learned. 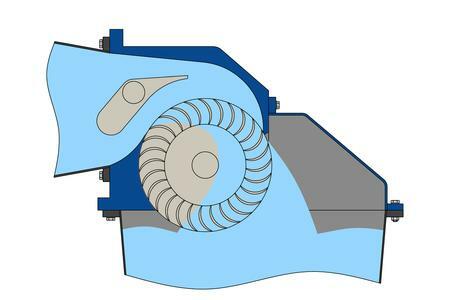 The two men quickly established a strong working relationship and together developed a water power turbine suitable for use by medium-sized manufacturing firms. 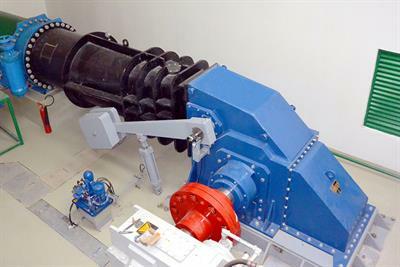 The new 'Free Stream Turbine' design was granted German Imperial Patent No. 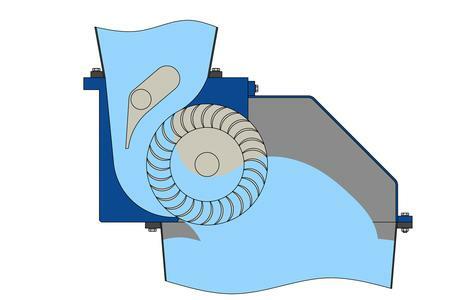 361 593, and the OSSBERGER Turbine was born. 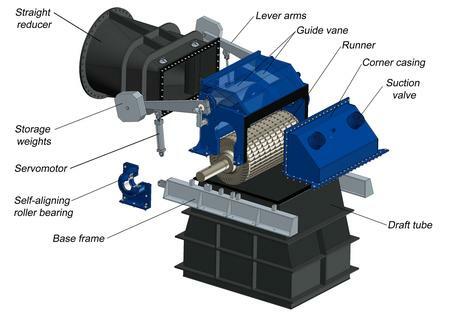 With only three moveable parts, the original OSSBERGER® crossflow turbine is subject to very low maintenance works. The self-cleaning effect of the runner avoids standstills caused by external influences. 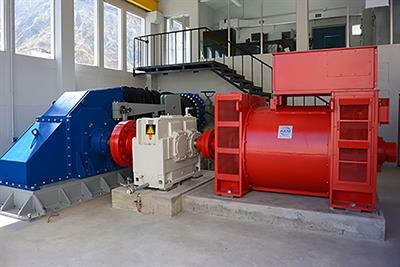 No reviews were found for OSSBERGER - Crossflow Turbines. Be the first to review!